Home design experts say the bathtub’s time is limited. They say that a large shower will suffice, that a tub is a relic of the past, that you don’t even need a tub for resale purposes. We say that’s a crime! Every home needs a tub. It’s not just a place for deep relaxation, for soothing quiet time, for unwinding at the end of a long day. It’s also a design opportunity, a potential statement piece, an inviting oasis of beauty and peace that will transform your bathroom. 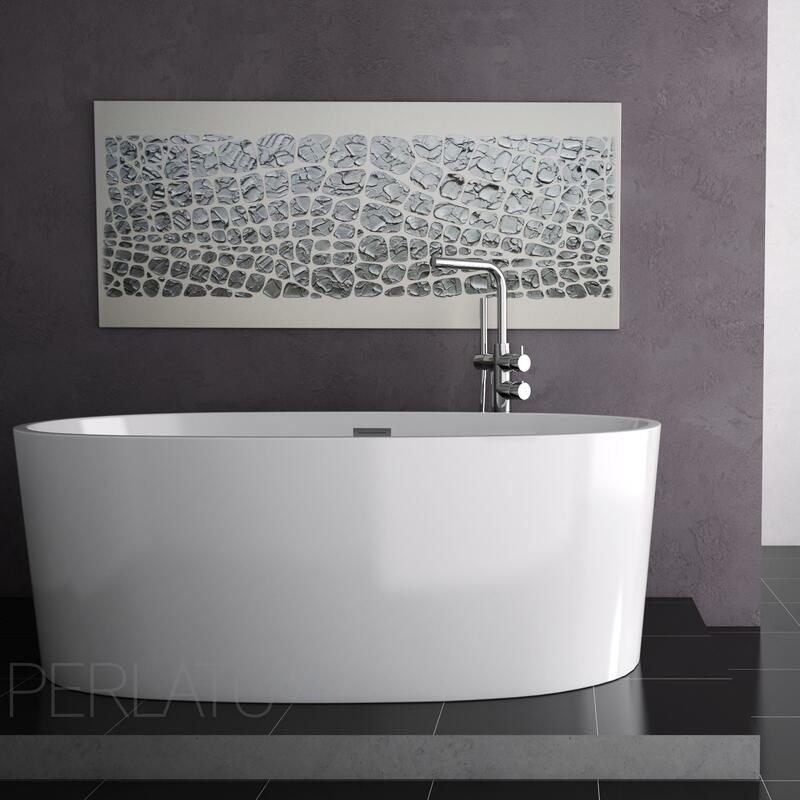 Every freestanding Perlato soaker tub offers all of the best features of the bathtub. They’re strikingly beautiful, luxuriously comfortable, artistically crafted, and durably practical. These tubs have it all, and at an affordable price to boot! There’s no catch – there’s just versatility and pure loveliness. A Perlato soaker tub is made of high-quality, lightweight acrylic for years of easy maintenance and durability, backed by a five-year warranty for peace of mind. Each of the five collections is inspired by and named for a city in Italy. 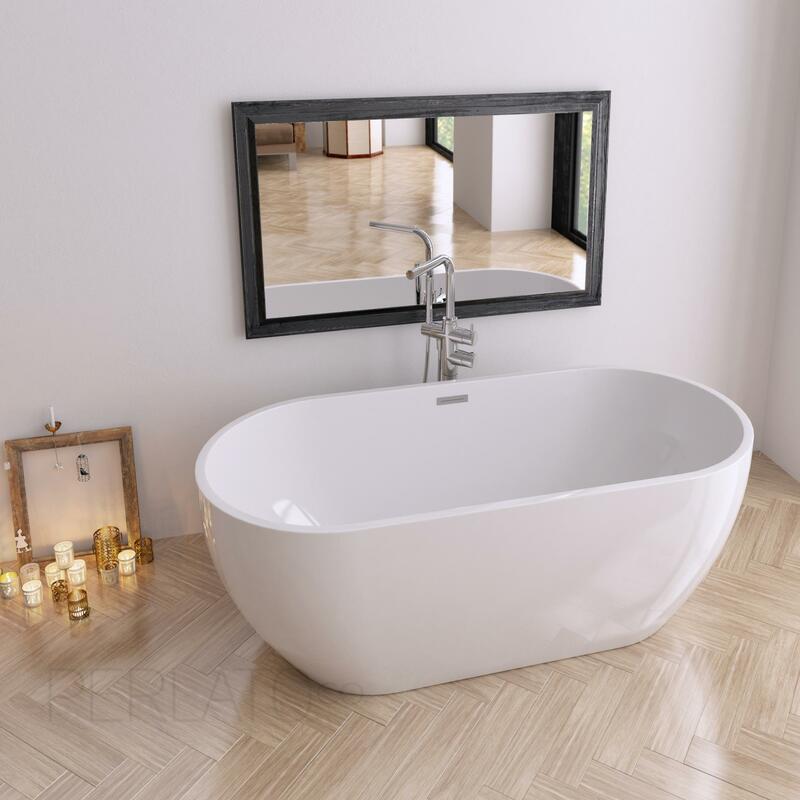 The Firenze tub is a sleek, streamlined tub with a deep, spacious interior and smooth, rounded exterior. Available in two sizes – the PTFRZ6331 is 63″ long and 30-3/4″ wide, while the larger PTFRZ6732 is 67″ long by 32-1/4″ wide; both are 23-5/8″ deep – the Firenze provides sensible style. The extra-long Milano tub measures 70″ in length to accommodate bathers of all sizes. Its straight, modern lines are softened by gently rounded ends to complement any bathroom. The Roma collection, also in two sizes (the PTRMA6228 at 62-1/4″ L x 28-3/8″ W x 24-3/8″ H and the PTRMA6629 at 66″ L x 29-1/8″ W x 26″ H), features a dramatically sculpted shape to make an instant – yet not overbearing – statement. Venezia tubs (the PTVNZ6630 measures 66″ L x 29-1/2″ W x 22-7/8″ H while the larger PTVNZ7031 is 70″ L x 30-3/4″ W x 23-5/8″ H) command attention with their contemporary straight sides, rounded edges, and sloped backrest. The lovely tubs in the Siena collection (PTSNA6731, measuring 67″ L x 30-5/8″ W x 23-1/4″ H, and PTSNA5928, measuring 59″ L x 28-1/4″ W x 22-1/2″ H) offer extra visual interest with a soft flare toward the top and a tapered base. Don’t write off the tub just yet – sink into a gorgeous Perlato soaker tub and be grateful that you didn’t listen to the expert voices of design!